You guys. I have totally dropped the ball on September. Maybe it’s because I have taken the month off of shooting, so I checked my brain at the door? Maybe it’s because my birthday isn’t until the end of this month, so I thought I had more time? Maybe it’s because my mom is in the hospital recovering from a major surgery to remove cancer from her liver? Yeah.. it’s most likely that last one. But, I am not a quitter. I am home for a few days before taking my turn to be with her at the hospital, so I wanted to get September’s birthday kit done!! These are probably over budget for most of us, but I had to include a set of stunning deep blue sapphire studs on the list! This sparkling blue nail polish by OPI in Light My Sapphire. I mean, if you have a Pokemon fan in your life, you most likely already have this one. Even my 19 year old “little boy” would love this! This slim sapphire travel wallet is super slick! This handy and fancy blinged out purse hook is rad. Any blue LipSense would be a fun gift. As always, holla at me for a birthday discount. Sky Blue, Team Wicked, Midnight Muse.. all beautiful deep blue lippie colors. This beautiful sapphire blue scarf would be a great addition to your September birthday’s fall wardrobe. Pssst: This is the same scent that they pipe in at Anthropology.. Bonus that the reed diffuser is a gorgeous deep sapphire. This is a must! 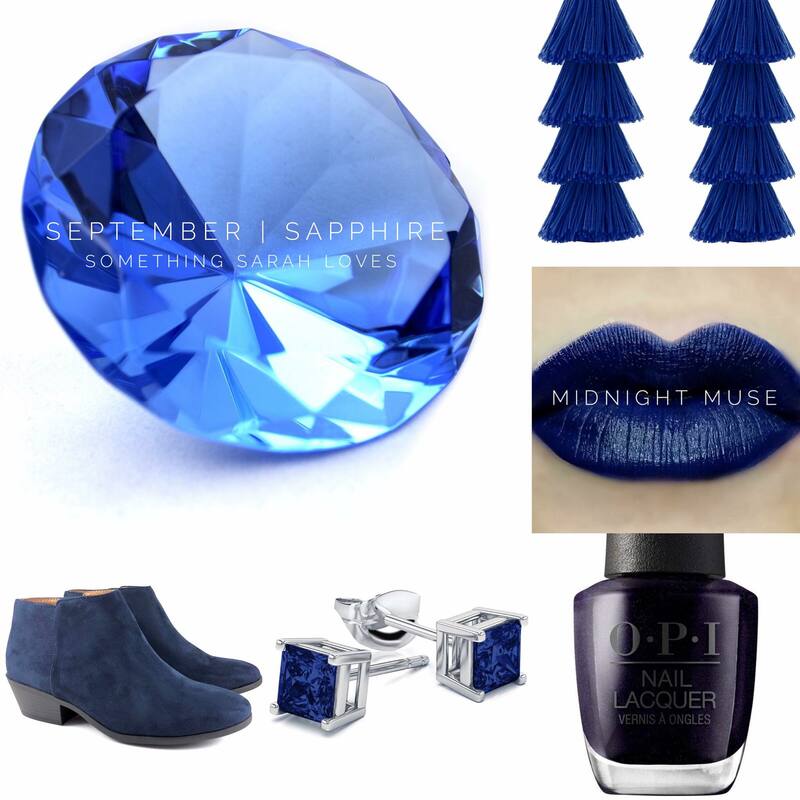 This affordable little fashion sapphire ring would be such a sweet gift. These sapphire blue tassel earrings are super cute!